Homeowners often underestimate the importance of their gutter systems, but when it comes to protecting the roof, fascia, basement, and foundation on your Middletown, Ohio, home, your gutters are invaluable. While it is commonly known that gutter systems collect rain water and divert it away from your home, fewer people are familiar with the types of damage that can occur when a gutter system fails to work properly. To safeguard your home against any of the above scenarios, we recommend having one of our heavy-duty gutter systems installed. These premium gutters are made by Spectra Metals, the country’s largest manufacturer of gutter products, and they are crafted from hard-wearing aluminum which is designed to deliver decades of optimal performance. You can choose from a wide range of fade-resistant colors, such as eggshell, forest green, colonial gray, cocoa brown, and more, to ensure that your new gutter system looks as good as it functions and complements the aesthetic of your home. When we first opened our doors in 1972, the team at 31-W Insulation made a commitment to provide those we serve with quality products and dependable services. Fast forward more than 40 years, and we are still honoring this commitment. 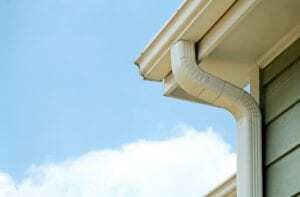 When you partner with us to have a gutter system installed or replaced, or for any other home improvement services, you can be confident that you are in capable hands. To learn more about partnering with 31-W Insulation to have one of our seamless gutter systems installed on your Middletown home, contact us today.